After a few weeks in Mexico, our travel intentions were simple: Helene and I would leave Mexico City, and travel slowly throughout Veracruz, Oaxaca and Chiapas until we’d stumble upon a place we liked. We prepared for a long tour of Mexico, purging our backpacks for the hundredth time. 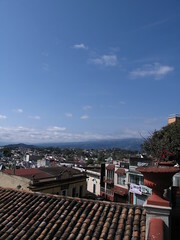 Then, two cities later, we arrived in Xalapa. Remember our Happy Place in Thailand, which I raved about nearly a year ago? Xalapa, the state capital of Veracruz, is our Mexican equivalent. And this time, I’m giving it away for free on this blog. Given the nature of this blog, it should come as no surprise that a city will often charm me first through my taste buds. A few days prior, looking forlorn for a good, cheap restaurant in the port city of Veracruz, I first remarked to Helene about the two restaurants rule. The rule goes like this: any city in the world is two great restaurants away from being a fabulous food city. From Chennai to Amman, from Yogyakarta to Vientiane: the moment I find a great, local restaurant, I feel ‘grounded’ in my new city. On the other hand, if a city fails to capture my culinary interest, I’m more than likely to jump on the next bus or train. In Xalapa, we slipped into the first restaurant we found, La Fonda, a fancy but traditional-looking restaurant at the entrance to the picturesque Callejón del Diamante. The food was better than good. Over the next few days, we tried glitsy cafés, fonditas (small, family-run restaurants), and tiny quesadilla joints: Xalapa shattered the two restaurants rule with ease. Desperate, we entered a dingy-looking and empty fondita outside of peak hours. At the next table, an old woman slept soundly, her head tilted back, mouth hanging open. “There’s no way this’ll be good,” I thought. In Xalapa, finding a bad meal is a challenge. If Xalapa’s excellent food wasn’t enough, the city has another ace up its sleeve to sway a wandering backpack foodie. The coffee in Mexico may not draw the foreign crowds, but the country features a few coffee-producing regions that take great pride in their local crop. The verdant mountains of the state of Veracruz, where Xalapa nestles, is one such region. 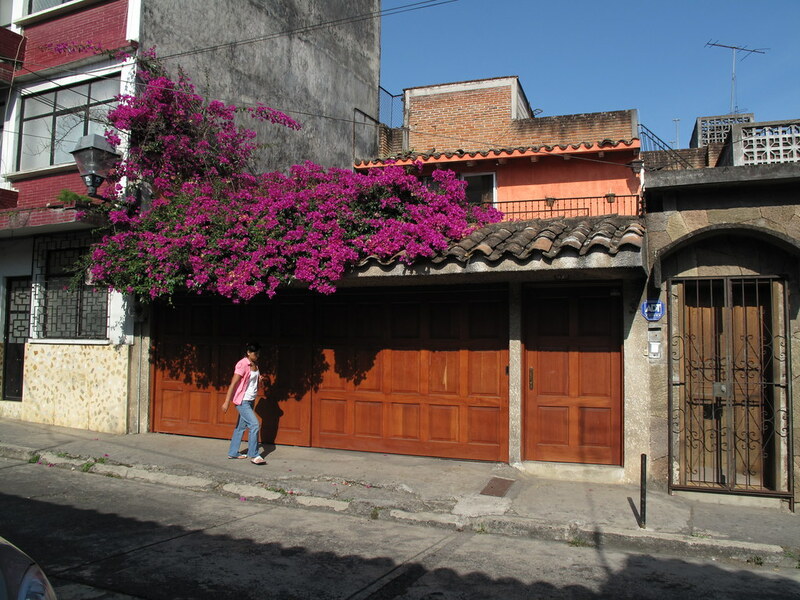 The small town of Coatepec, twenty minutes away from Xalapa, is a center of coffee production. As a result, Xalapa features an impressive coffee culture. Walk along Primo Verdad, and you’ll discover the unmistakable aroma of roasting beans. Xalapa teems with coffee houses, almost all selling local coffee, from the chic Espresso 58 and Café Chiquito, to French-inspired Petit Café, or laid-back Café Kali, roasting their own bean next door. By far our favorite, though, was cozy Hojas Verdes, where owner Silvia welcomed us with the kindness and smile of a grandmother. 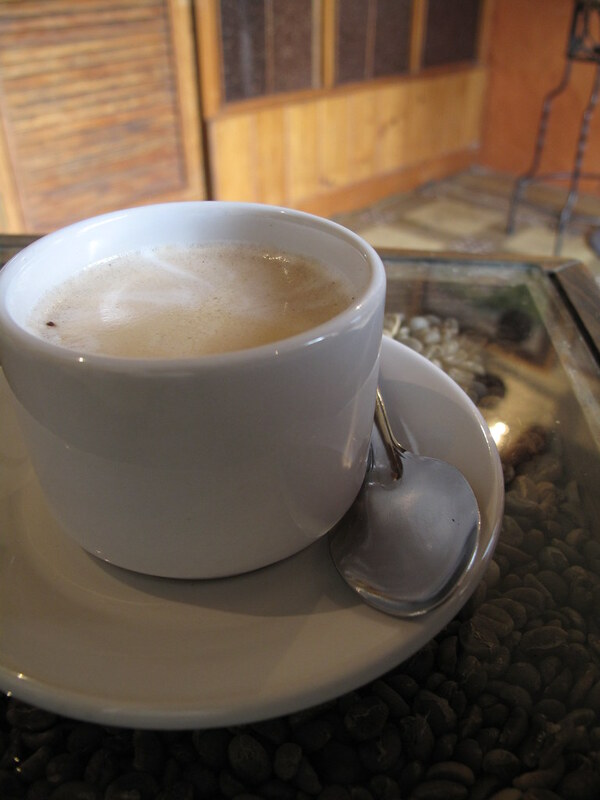 Her americano is earthy and rich, the unmistakable flavor of life in Xalapa. There’s a lot more to Xalapa than food and coffee, of course. 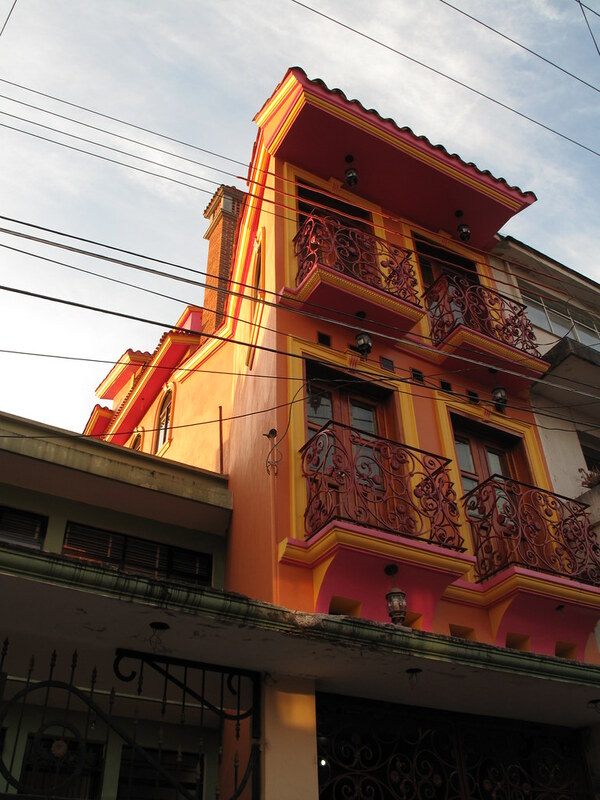 The center features colonial architecture, and the colors of the houses all around town explode with warmth at every turn. Flowers grow everywhere, in a riot of colors: no wonder Xalapa is called “the city of flowers”. 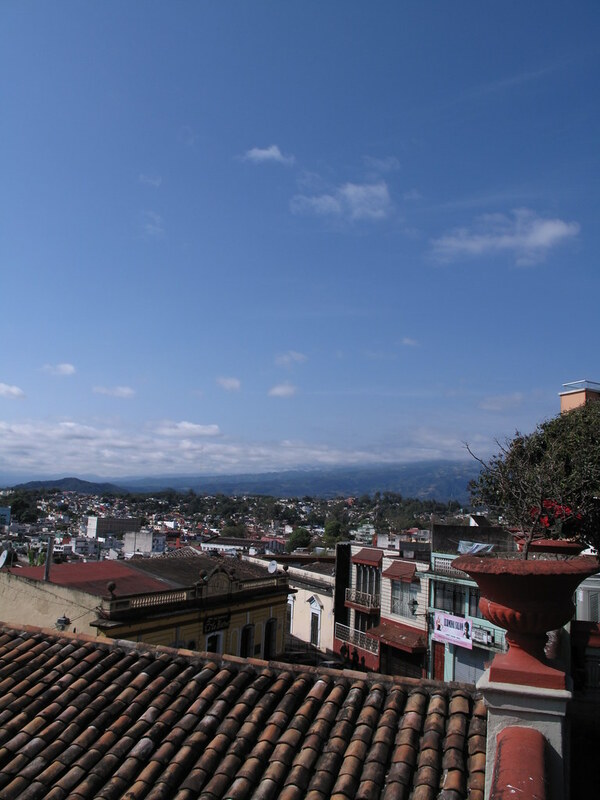 On sunny days, the mountains rise around the city, complementing the hilly relief of Xalapa, the verdant masses of the nearby mountains swallowing the horizon. After a month in the mountains, the beaches of Oaxaca beckon. We leave Xalapa like we leave a home, knowing we’ll be back to visit at a later time. 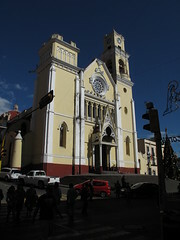 Xalapa, Veracruz, officially known as Xalapa Enriquez, is located two hours away from the port city of Veracruz. The ADO bus line reaches it easily from DF. From the bus terminal in Xalapa, it’s a short local bus ride to the historical city center. Coatepec can be visited easily on a daytrip from Xalapa. The best option for a bus is from the market known as “Los Sauces,” behind which you can find Excelsior buses headed for Coatepec. Restaurants are in absurd abundance in Xalapa. Although they are too many to list here, here are a few of my favorites. 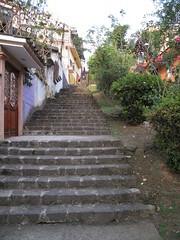 The streets of Xalapa are made complex by the hills and slopes. As a consequence, I won’t include specific directions here; the center of Xalapa is compact, though; ask friends or your hotel, and they’re bound to know these names. 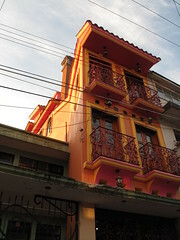 La Fonda is located at the entrance to Callejón del Diamante, at the corner of Enriquez street. 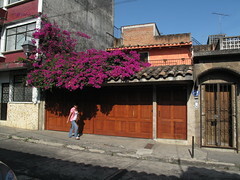 Callejón del Diamante features many other cafés and restaurants, as well as street vendors hawking handicrafts. La Fonda is more pricy than a fondita, but the food is undeniably excellent. La Casa de la Abuela is a smaller, cheaper restaurant, down on Allende. The comida corrida (set meal) is a mere 35 pesos ($3 USD), and features fresh, hand-made, delicious dishes. Near the park known as Paseo de los Lagos is a tiny pozole restaurant which I heartily recommend. You should find it by the line-ups in the evening; if not, ask around, as it’s famous locally for its delicious, hearty pozole. For a delicious, home-style comida corrida at lunchtime, it’s impossible to beat Tierra Mia, a true fondita, complete with handmade tortillas. Go, and you’ll be rewarded with a delicious meal for the mere cost of 25 pesos ($2 USD). Xalapa is crawling with coffee houses of all kinds and sizes, and the majority of them serve an excellent espresso or americano. 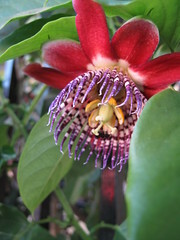 You’ll find a high concentration of them on Primo Verdad, east of the cathedral. My favorite is Hojas Verdes, one block further north from the cluster of cafés. They also make an exceptional carrot juice for 75 cents US. The Paseo de los Lagos is a family-oriented park southeast of Parque Juarez, where broad paths circumnavigate pretty artificial lakes. The place is popular with families on weekends, so get ready to dodge a few kids if you go on a Sunday afternoon. The Cerro de Macuiltepetl is a beautiful mountain park a bit further north, with a well-marked 4.5 km running path that goes up and down the mountain. If Xalapa has a downside, it’s its winter weather. 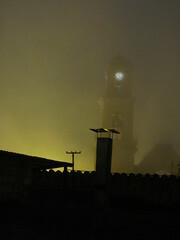 In January and February, beautiful, hot sunny days alternate with chilly, fog-soaked moments of misery. Keep this in mind if you go in winter. Previous: I’m a Fantastic Story Weaver! I’m not sure why I didn’t figure this out in the beginning, but like you, food is very much tied to my happiness in a place. If I ever take an epic trip again, or even just for smaller trips, I really want to focus on places with yummy food. For that reason, Mexico is definitely on my list. Thanks for sharing your experience in Xalapa! Hi Amy! I’m glad you liked the post. You know, I also had this problem initially… I was kind of looking for a ‘theme’ for my travels, and the pure simplicity of food escaped me for a while. That being said, I think great food is everywhere if you have your mind open to it. (Although, granted, you have to work harder at it sometimes!) But yes – Mexico is definitely of interest to a wandering foodie! My wife and I are going to Xalapa next week — it will be our third visit in less than two years. Looking at your pictures, where was #3 taken (the one with the steps)? Looks like it would be a neat area to explore. The third picture is taken in the residential area north of the mercado… Forget the name; it’s the one behind which Los Sauces (the Excelsior terminal) is located. There are a few residential streets there, and a steep climb to get back to the top of the hill. Thanks, Daniel. That’s an area we’ve yet to explore, but since on this visit we’ll be busing and taking taxis to get around, we’ll definitely be in that neighborhood. Wonderful article! I visited Xalapa during a trip to Veracruz. It is truly a wonderful place. Delicious food and beautiful landscape. If you can remember the names of any of the coffees produced there I would greatly appreciate the name. I was given some as a present but cannot remember the name. Only that it came in a red bag and had the word “Amable”, friendly, on it. Cant’ wait to return! Totally agreed with your description of the place! I’ve traveled a bit around Mexico since writing this article, and my impression remains the same. I hope to go back in the not-too-distant future. We’re visiting Xalapa tomorrow, in search for the coffee. Do you know if (and how) it’s possible to visit the coffee plantations? 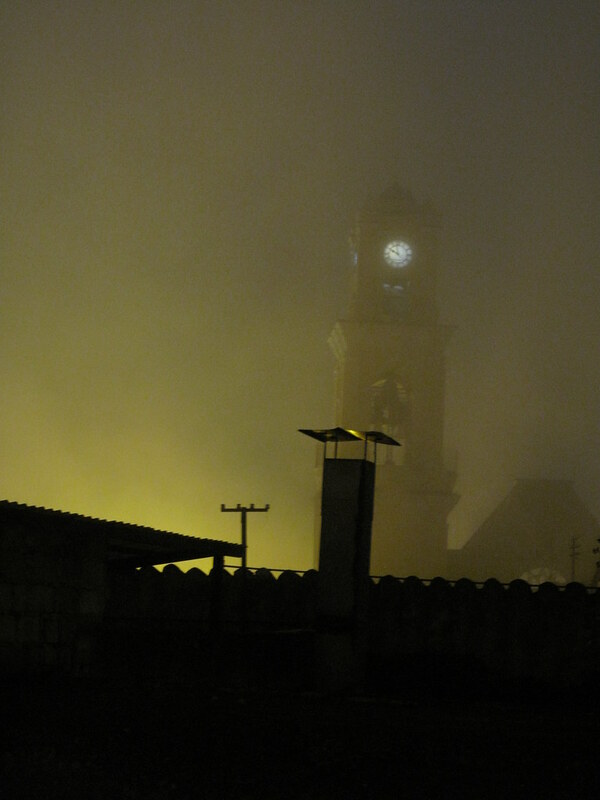 Oh, I’m a little envious of you for going to Xalapa! Enjoy! Unfortunately, I have no idea how to go about visiting the plantations, sorry! Never got around to doing it myself!